Cruset Pre Colouring Super Serum 15 ml. Home Hair Care Hair Colour Cruset Temporary Hair Color Spray 80 ml. ครูเซ็ท พรี คัลเลอร์ริ่ง ซุปเปอร์ เซรั่ม 15 ml. 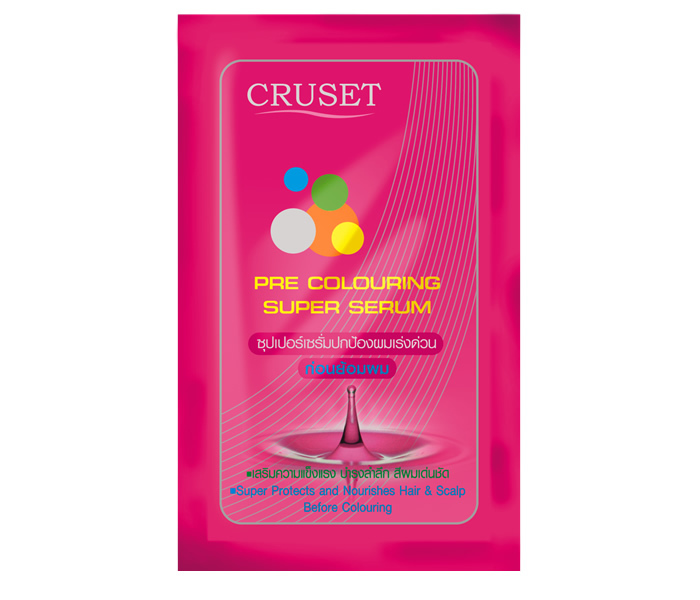 Cruset Pre Colouring Super Setum 15 ml. With Ceramide & Multi-Amino Acids Deeply protects and nourishes your hair and scalp before and during treatment, serve with the effective ingredients as Ceramide-3 and Multi-Amino Acids and Keratin, will provide the ultimate results of nice and prominent brillian. Cruset Platinum Developer Cream 60 and 1,000 ml. 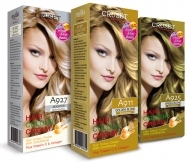 CRUSET Hair Colour Cream 60 ml. 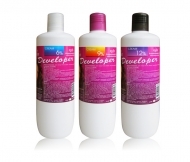 Cruset Developer Cream 500 and 1,000 ml.